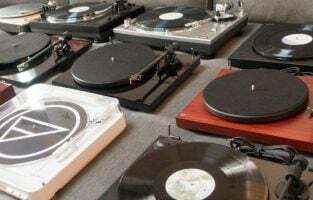 Buying one of the best business laptops under $1000 could pose a huge challenge as the market is flooded with dozens of products from all top manufacturers. So, how do you make your decision? It’s quite easy especially if you have a good idea of your requirement and can pick the best laptop that suits your usage. Be it an all-purpose office laptop, a gaming one or one with portable design, there’s something for everyone at different price points. When it comes to making a list of best laptops, it’s hard not to bring Dell into the picture. 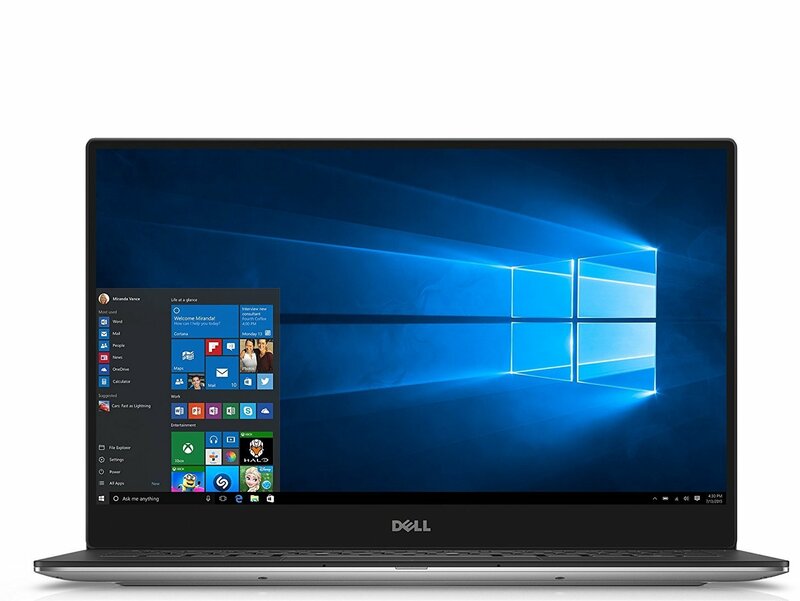 The brand’s XPS 13 9360 business laptop is an easy buy for users who want the best-looking laptop combined with powerful hardware specifications. Powered by an Intel i5 processor with 8GB of RAM and 128GB SSD, the laptop is very responsive, can handle most tasks easily and has an amazing 13.3-inch Infinity Edge Display. Samsung Galaxy S8 owners may have heard this and Dell does it better by bringing the technology to a laptop. The touchscreen feature may not be readily usable on a daily basis but it wouldn’t hurt having it when you want to do a quick edit or open an app on Windows 10. The device may not be able to handle gaming effectively as it has a simple Intel HD graphics 620 but it can whizz past your excel sheets, powerpoint presentations and multiple browser tabs at the same time. Apple’s MacBook range of laptops is amazing in terms of build quality, premium finish, and performance. For Windows lovers, Microsoft Surface line-up is the best option to go with. 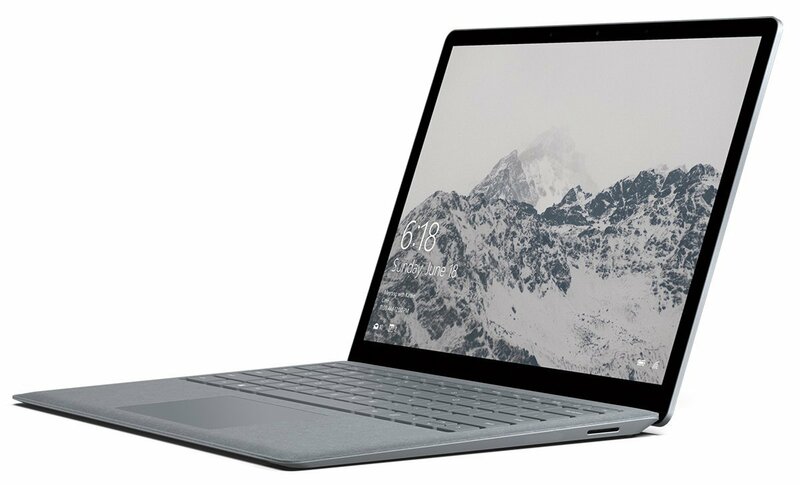 While the Surface Pro’s top of the line models could be expensive, you can check out the entry-level variants. Microsoft Surface Pro has a 13.3-inch display and is powered by the Intel i5 processor with 4GB of RAM and 128GB storage space. The hardware specifications should be more than enough for most office goers. Combine it with the sleek, metallic finish and the stylish Windows logo on the back, and you’ve got an amazing product in hand. Make sure to upgrade the variant you choose to Windows 10 Pro so as to get the complete experience as the Windows 10 OS might limit a lot of functionalities and is not ideal for everyday use. 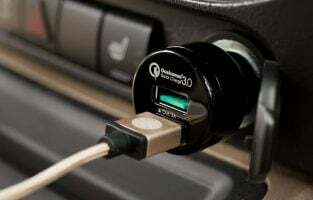 The laptop also promises 14.5 hours of battery life, give or take some which should last an entire day of usage without having to look for a power socket. The list of best business laptops under $1000 can never be complete without adding an Apple MacBook to the lineup. 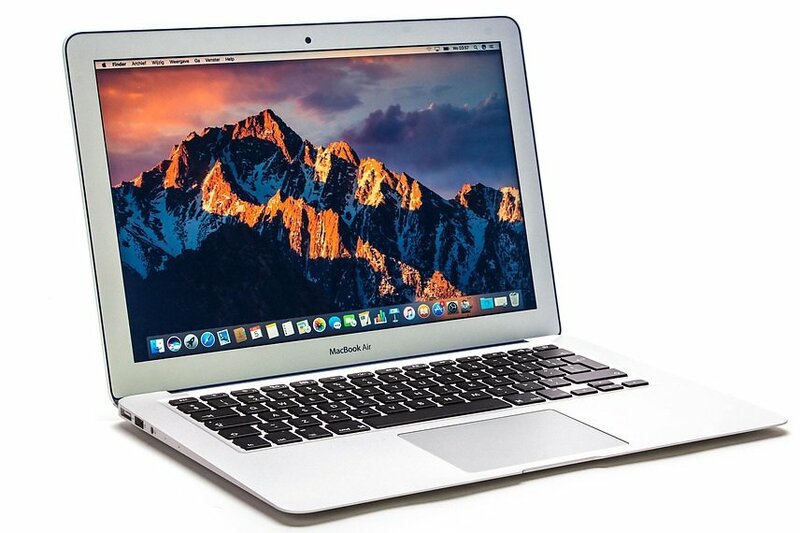 While the company’s other models such as the Macbook Pro are quite expensive, the Macbook Air should easily fall within this budget range. Compared to Windows laptops, the Mac OS options are limited but they are known for their reliability, sturdy build quality, and speed. 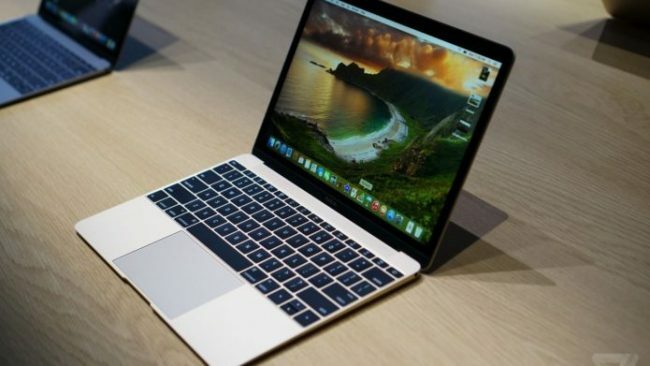 The Apple MacBook 2017 is the latest product available on the market. The laptop sports a 13-inch display powered by a 5th gen Intel i5 processor and has 8 GB of RAM. There’s 128GB of SSD storage which ensures faster booting times and it runs on MacOS Sierra. The Macbook Air can easily last more than 10 hours on a single charge and weighs just 3.0 lbs making it easy to carry wherever you go. While you can always buy a gaming laptop or an ultrabook at the same cost, the Macbook Air offers the best of Apple’s ecosystem within your budget and also receives timely updates as well as being durable for years to come. 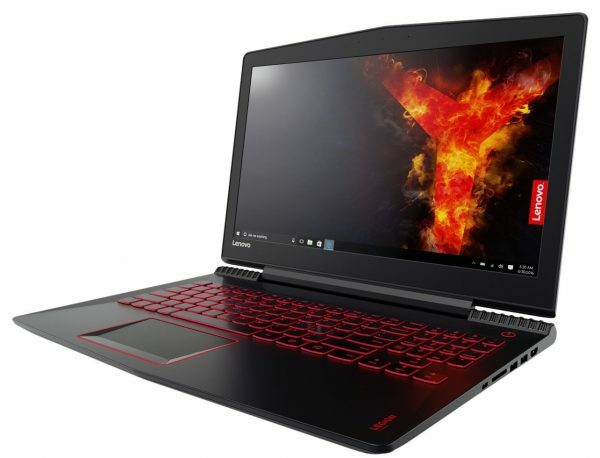 The Lenovo Legion Y520 is marketed as a gaming laptop and it’s strikingly evident if you take a look at its beautiful red color scheme on a large metal frame. If you are a frequent traveler or away from the desk for long hours, it is wise to stay away from this laptop. However, business users who would want a powerful device that could handle gaming, as well as Photoshop and video editing software, might want a dedicated graphics card which is what this Lenovo machine offers. Under the impressively good-looking exterior, the Legion Y520 is powered by Intel i5 7300HQ processor with 8GB of RAM and has 256GB SSD for your storage needs. The laptop is equipped with Nvidia Geforce GTX 1050Ti graphics card which can easily handle popular titles like Dota 2, Fortnite and PlayerUnknown Battlegrounds at 60 FPS. Besides being able to play most AAA titles at medium settings, the hardware can also handle your photoshop needs and occasional video editing work that might come up in your office. The red gamer-friendly finish might put off some business users but if you don’t mind people frowning at your colorful setup, the Lenovo Legion Y520 is a great pick especially considering the price tag. LG revolutionized the ultrabook market with their new range of laptops and the LG Gram 15 is an easy winner on the list. The laptop is strikingly small making it easy to carry around within your office and during frequent travels. Surprisingly, it doesn’t compromise in terms of performance and has an impressive hardware spec sheet making it an all-rounder in every segment. The LG Gram 15 is powered by an 8th gen Intel i5 processor coupled with 8GB of RAM and has 256GB SSD making it very responsive. The keyboard is reliable and responsive with a mild tactile feedback while it also has a fingerprint scanner to quickly unlock the laptop from its sleep mode. You can choose to go for the less expensive full HD display or spend more to get the touchscreen variant to make use of Windows 10 features. 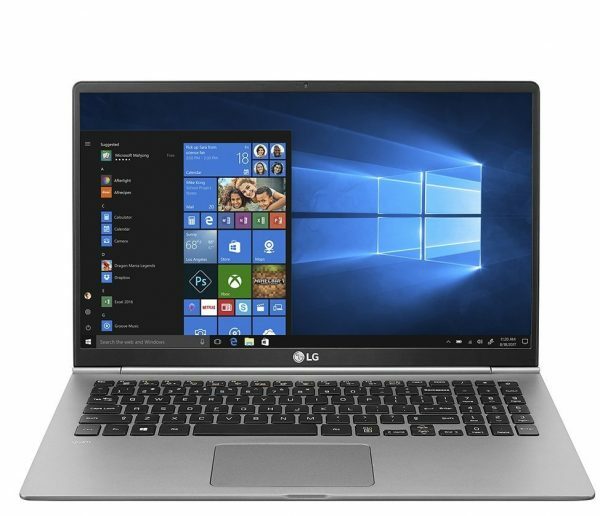 Either way, the LG Gram 15 and the Gram 13 are both great ultrabooks for business purpose as they are lightweight at just 2.4 lbs, very powerful and is very durable. 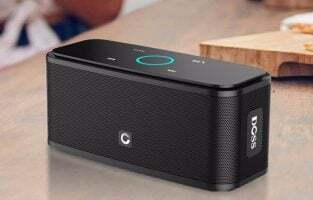 It even promises an excellent battery life of 15 hours making it a powerhouse. Dell Inspiron 15 7000 now has the latest iteration with revised hardware specifications, better graphics card, and some minor design changes. The laptop’s competitive price tag at under $1000 combined with these changes makes it one of the best products to go with. The Inspiron 15 7000 is powered by the 7th generation Intel i5-7300HQ quad-core processor. The chipset is promptly paired up with 8GB of RAM, 128GB SSD for faster booting times and a cool 1TB HDD to store all your large files. The 15.6-inch 1080p display is large enough for browsing PPTs, the web and for gaming when you get some leisure time. 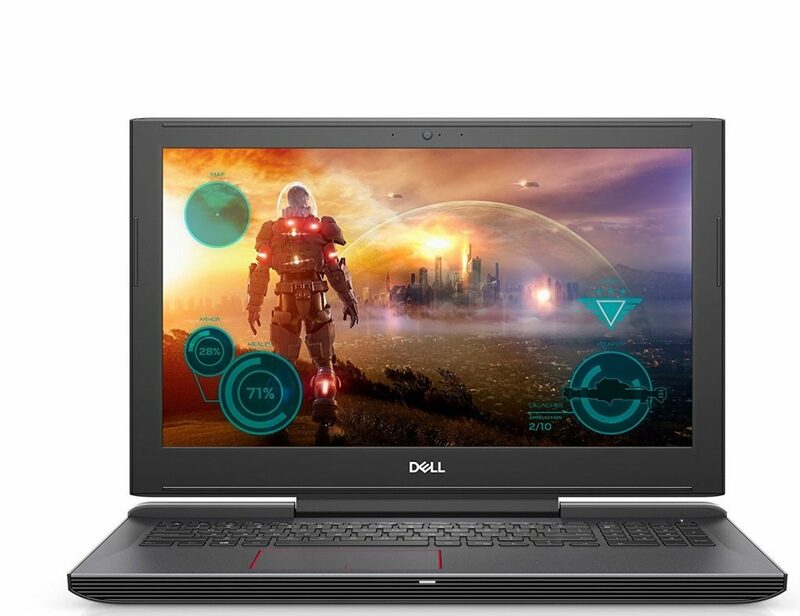 The 2017 edition of the Dell Inspiron 15 7000 is equipped with the latest GTX 1060 graphics card which is powerful to handle all newest AAA titles at medium settings and other editing software when the need arises. The only caveat in this laptop is that it offers lesser battery life when compared to other business laptops but makes up for it with its professional looks and impressive hardware. The Acer Spin 5 conveniently stands out on the list of best business laptops under $1000 with its unique feature that most other laptops don’t offer. The Spin 5 is a 13-inch convertible laptop which boasts of an amazing build quality. It also packs a powerful hardware yet the manufacturer Acer has managed to keep its weight at the lowest possible level, making it as portable as it could get. 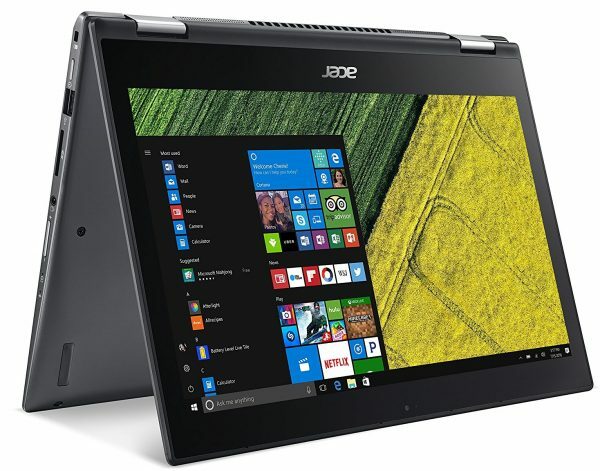 Under the convertible metal frame, the Acer Spin 5 houses an 8th generation Intel i7 processor with 8GB of RAM and has 256GB of SSD storage. SSDs are a must-have in business laptops to speed things up and they are more reliable for data storage when you carry your laptop around a lot. Despite the powerful hardware within, the laptop weighs just 3.3 lbs and delivers a battery life close to 13 hours on a single charge. The 13.3-inch full HD display uses an IPS panel for picture perfect clarity and the laptop can quickly be flipped over to be used as a tablet. The compact weight and small screen size make it easy to browse the web, watch movies or access files in tablet mode as easily as you would do in laptop mode. The keyboard also doubles up as a stand for convenient viewing positions. The time when business laptops used to focus purely on professional design and battery life is long gone as the situation is more demanding than ever. You can always choose a laptop that is equipped with a dedicated graphics card or go for the sleekest model to make your business trips easier. Whatever your choice is, this complete list of best business laptops under $1000 should have you covered. 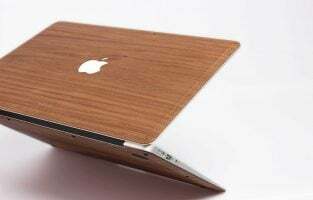 The MacBook Air is a haven for Apple MacOS lovers while there are lightweight products such as the LG Gram 15 all the way to a heavy gaming laptop like Lenovo Y520 that also serves business purposes. 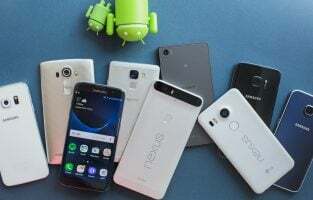 Be it the best battery life, compactness or powerful hardware specs, you should be able to find the one that ideally matches your requirement.